For the past 25 years, Ruth Fitzgibbons of Richards Partners, the public relations arm of The Richards Group, has been on the front lines with a variety of clients who unexpectedly found themselves in the glaring light of uninvited media scrutiny – at a terrible time. Television cameras on your doorstep are bad, but a Twitter storm may be even worse. 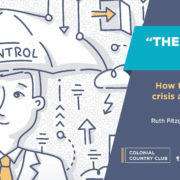 This program will offer the 10 Commandments of Crisis Communications (with color commentary from personal experience), plus some best practices and do’s and don’ts with earned and social media. 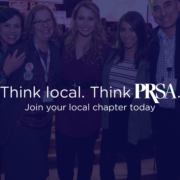 https://fortworthprsa.org/wp-content/uploads/2018/05/unnamed-2.jpg 2125 5320 Hannah Lacamp http://fortworthprsa.dividesignpros.com/wp-content/uploads/2019/01/GFWPRSALogo2018-300x287.jpg Hannah Lacamp2018-05-23 10:59:562018-05-24 11:43:19Join us for our next GFW PRSA luncheon on Wednesday, June 13, at Colonial Country Club! 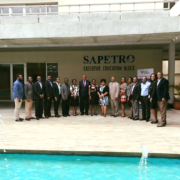 As part of her Carnegie African Diaspora Fellowship, FWPRSA’s advocacy chair, Amiso George, had the opportunity to give a workshop on “Understanding How Public Relations Can Enhance the Work of HR Managers,” to a variety of companies in Lagos, Nigeria! 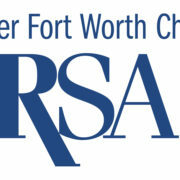 Thanks for representing FWPRSA all the way from Nigeria, Amiso!